A lightweight, leather, which gives a soft, luxurious handle and appearance. The second style that Dr. Martens made, the 1461 was crafted for industry and made rebellious by generations of non-conformists. Crafted with the same DNA as its 8-eye counterpart — like grooved edges and unmistakeable yellow stitching — it now comes in two shades of iridescent metallic leather: Mallow Pink or Lazer Silver. 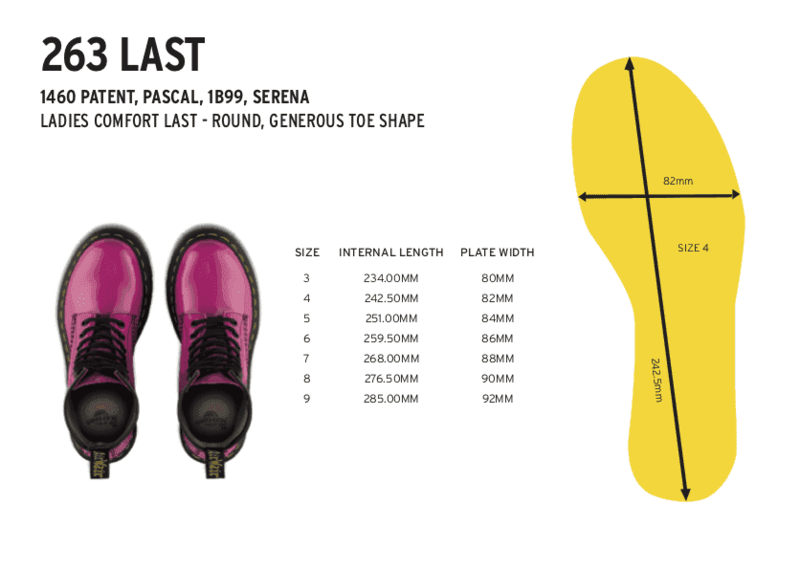 Built on the iconic and famous Dr Martens air-cushioned sole, that's oil and fat resistant with good abrasion and slip-resistance featuring a classic 3-Eye lace fastening, with glossy black eyelets.